Melissa is a fresh CEMS graduate from WU Vienna’s class of 2018. 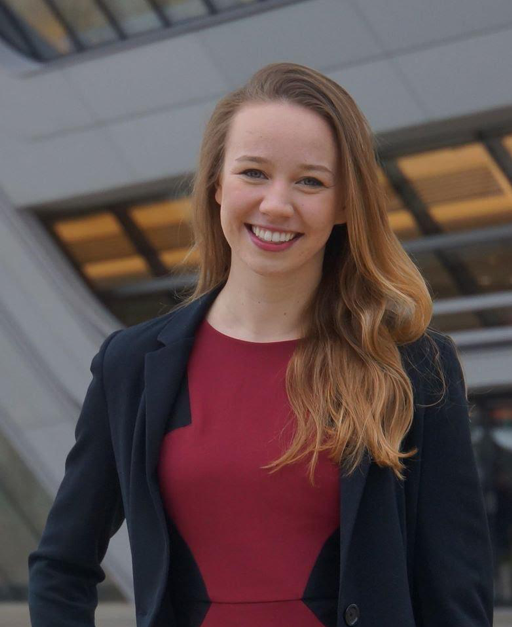 As a half-American / half-German, Melissa grew up and completed her BSc in Business Administration at Bentley University in the United States, during which she also did an exchange semester at WU Vienna. After completing her BSc, she decided to move to Vienna to study CEMS. Her semester abroad was at Copenhagen Business School in Spring 2017. Melissa will be starting with Capgemini Invent in February 2019. I guess it’s hard to say until I’m actually active in my role, but in advance, I can say that I wasn’t necessarily planning to be involved so much in technology, and I know that my role will be highly focused on digitalization and its effect on consumer experiences and service offerings. As a foundation, CEMS teaches you how to effectively applying strategic thinking. Basically, from day one, you’re trained to think like a consultant (until it’s infused into your brain excessively). But on top of that, CEMS also exposes you to how current trends and shifts affect managerial problems, and how approaches have to change to meet these challenges. So it challenges you to think and be creative. Lastly, it also gives you the network to solve your problems (I even got my job with the help of a fellow CEMSie). Which is your favorite leisure time activity on WU campus (old or new)? Spritzers in the spring & summer while sitting in the sun. I think my CEMS experience taught me to always be open. Because of how often you’re moving and all of the different changes you experience throughout the program, it can be hard to be open to everything, especially with constantly changing surroundings and on rougher days where you’re missing home. But there’s also so much good to it – the people, the lessons learned, the excitement – and CEMS really brought that out – once you’re exposed to that good energy it sticks with you. If you started all over with CEMS, what would you do differently? Had I done my CEMS experience differently, I think I would have tried to go a bit further abroad. While I really loved my experience at CBS, it would also have been cool to go to a school in South America or Asia and experience a culture outside of Europe.